When you book a Villa at Trapp Family Lodge, you’re in for a hotel experience like no other. 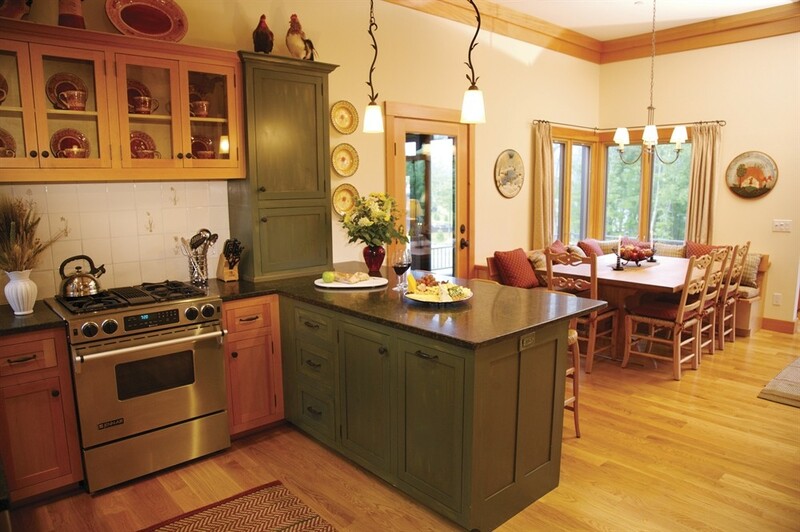 Our Stowe Villa rentals are more like vacation homes, with rustic, warm décor, comfortable furnishings, full kitchens, and huge windows that offer great views of the surrounding mountains and valleys. You’ll never want to leave. The Villas at Trapp Family Lodge are tucked away on 61 secluded acres of our resort, offering unparalleled elegance and comfort in a tranquil setting high above the mountain valley. The Villas are in perfect harmony with their surroundings, incorporating natural details like the massive stone fireplace, hardwood floors, and real wood furniture. From the front door of your private Villa, you can ski or snowshoe down Trapp Family Lodge's extensive network of cross-country trails. During the warmer months, you can hike or mountain bike these same trails into hundreds of acres of woodlands. 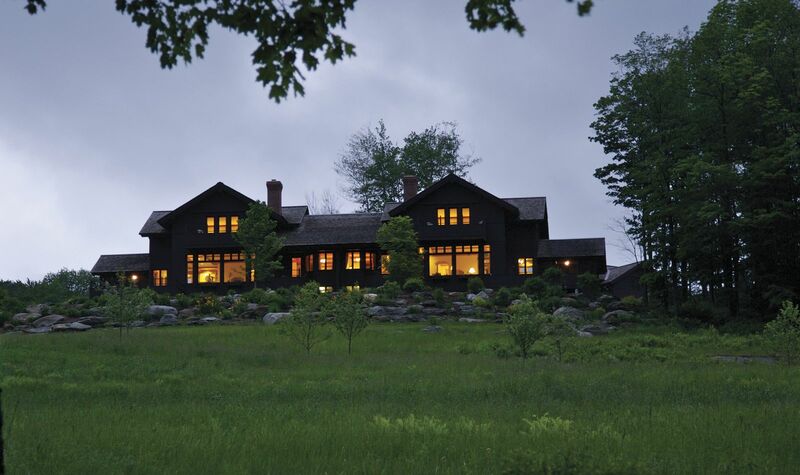 No matter what time of year you choose to visit, the Villas at Trapp Family Lodge are perfect for Vermont family vacations, romantic getaways, and group excursions. The luxurious Three-Bedroom Villa sleeps a maximum of eight people, with its combination of a two-bedroom unit and a lock-off master bedroom suite. The second floor of the two-bedroom side has a master bedroom with king bed and bath, and a spacious guest room with two queen beds and private bath. In addition to the lock-off master suite, the first floor contains a spacious great room with massive stone fireplace, dining area, Wi-Fi access, and fully equipped kitchen. It's the perfect space for entertaining. The luxurious Two-Bedroom Villa comfortably sleeps six people. The second floor of the two-bedroom side has a master bedroom with king bed and bath, and a spacious guest room with two queen beds and a private bath. The first floor contains a spacious great room with massive stone fireplace, dining area, Wi-Fi access, and state-of-the-art kitchen. This master bedroom suite is perfect for couples looking for a romantic weekend away. It features a king bed, master bath with walk-in shower and whirlpool bath, fireplace, wet bar with fridge and microwave, Wi-Fi access, and its own private entrance. The master bedroom lock-off has a maximum capacity of two guests. Rentals are for full weeks only, unless a partial rental is available within 60 days of the date you would like to arrive. The minimum stay is two nights. The Villas are non-smoking and have a "no pets" policy. Pets are welcome in the Main Lodge, with some restrictions. Please review our complete Villa House Rules. An advance deposit equal to 50% of the stay is required at the time of booking to guarantee your reservation. Reservations cancelled 30 or more days prior to arrival will receive a refund of the deposit less $100, which is non-refundable at time of booking. Reservations cancelled within 30 days of arrival will forfeit the deposit in full. To reserve one of our Villas, please complete our Rental Request Form or email us at reservations@trappfamily.com. We will contact you shortly to help you reserve your trip to Trapp Family Lodge.